Run a group offer on Facebook, Twitter, your website and mobile devices using Wishpond’s Group Offer App. Create a Group Offer in minutes using our easy app. 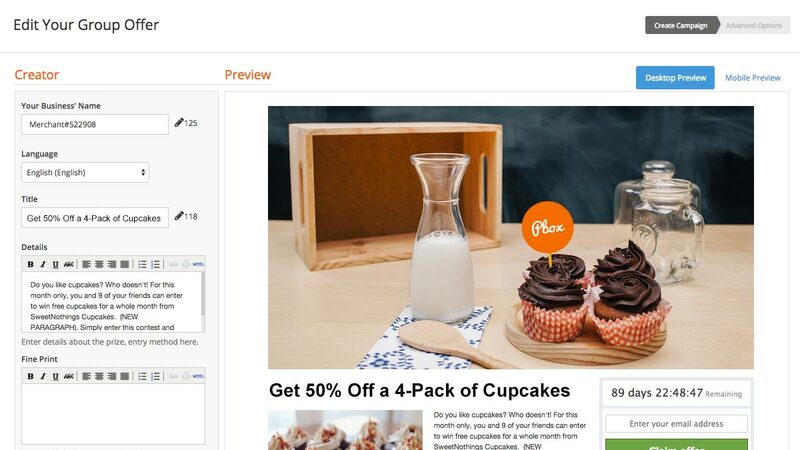 Wishpond’s Group Offer App makes it easy to create your offer with your own branding, colors and custom form fields. Run your Group Offers on Facebook, Twitter or your website that work perfectly on desktop, tablet & mobile devices. No coding required. 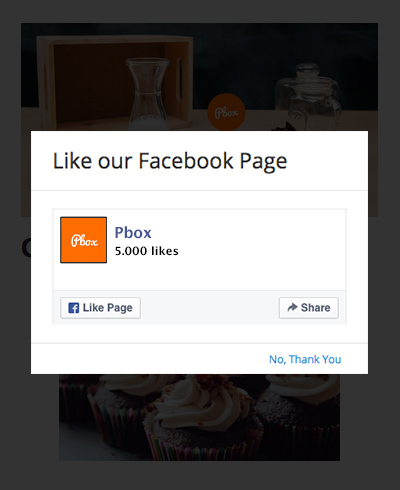 Add a Facebook Like Button Popup or Twitter Follow-Gate to your Group Offer to get more Likes and Followers. 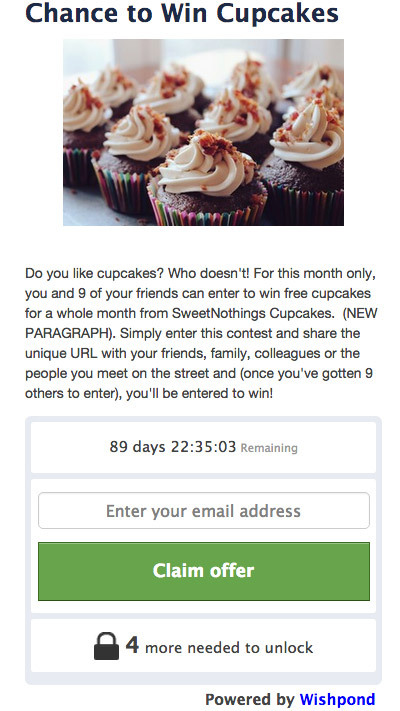 Easy for Entrants to share your offer with friends. 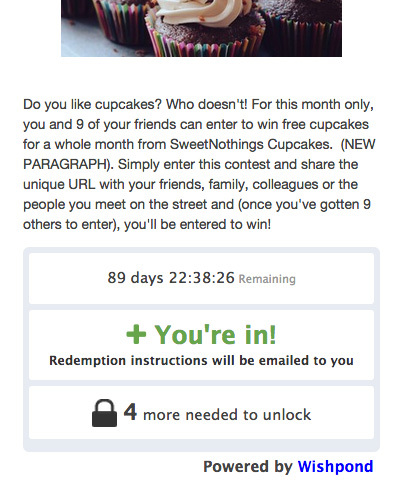 When a person enters, the app gives them a link for the offer ot share with friends, and a countdown for how many more people need to enter to unlock the offer. 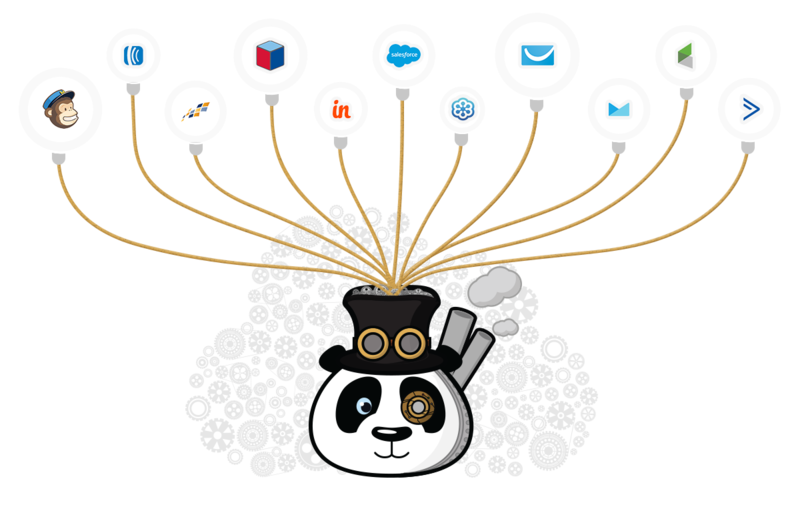 Wishpond’s Group Offer App has every feature you need to create, run and fulfill your order. Export all entry data, including entrant email addresses. You own the data. Run your promotion in a Tab on your Facebook Page. 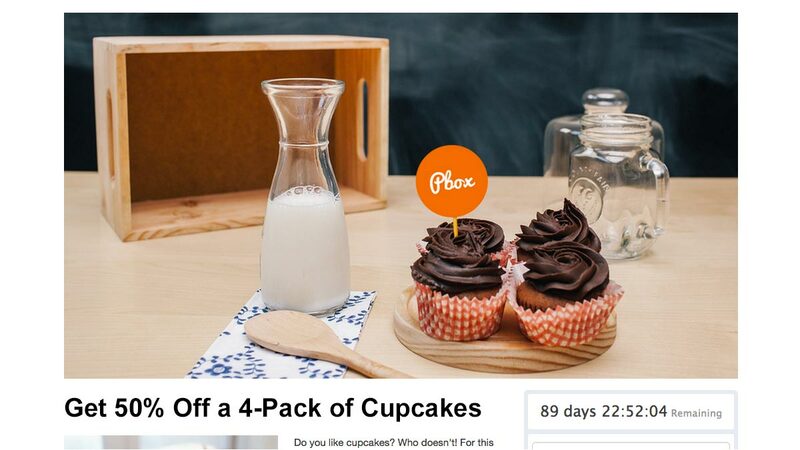 Publish your promotion page to Facebook in a click. 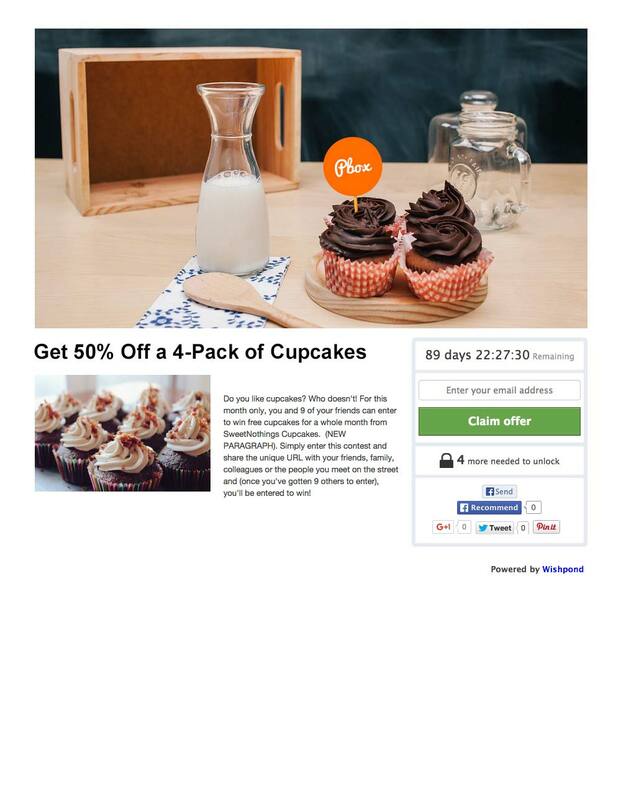 Wishpond provides a simple embed code that can embed your promotion on any website or blog. Run your promotion on Twitter to get more Twitter Followers. Wishpond’s reporting dashboard makes it easy to view the performance of your promotion in real-time. 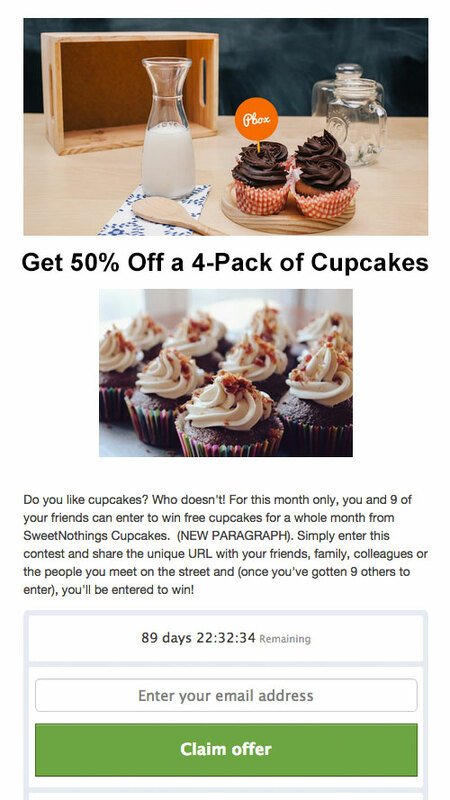 Use the built-in coupon codes to send and track coupon codes to entrants when your offer is unlocked.